• Distance to the wall: 2"-18.3"
Fit for most 32-60 inch TV. Standard Vesa Holes: 200X100mm, 200X200mm, 300X300mm, 400x300mm, 400x400mm. 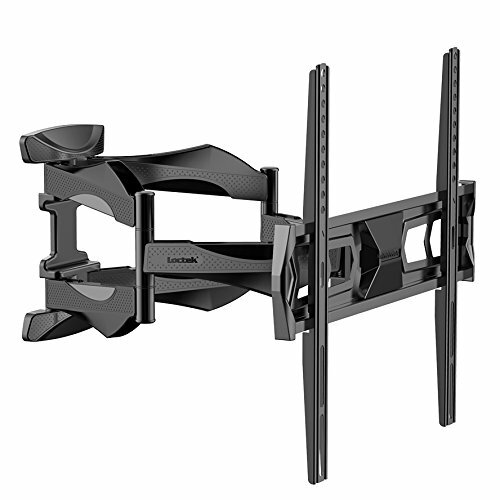 Six Long Extension Arms: Extends Max 18.3 inch to the wall, tilt 2° up and 10° down, swivel Max 180°, hang 60" TV on it will be Min. angle left or right 45°, extends 2.2-18.3 inch(56-465mm) to the wall. UL certified, 4 times weight loading test 4 x 66 lbs = 264 lbs. 3° horizontal adjustment：you can fix installation errors within ±3°.Cable management system: organize and conceal unsightly cables.